I am looking for Instagrammers with followers that look forward to your post. Someone that enjoys trying and reviewing new products. Someone that enjoys the DIY projects around the home or even helping a friend or neighbor with their projects. You may not have a hole in the wall but someone you know may. 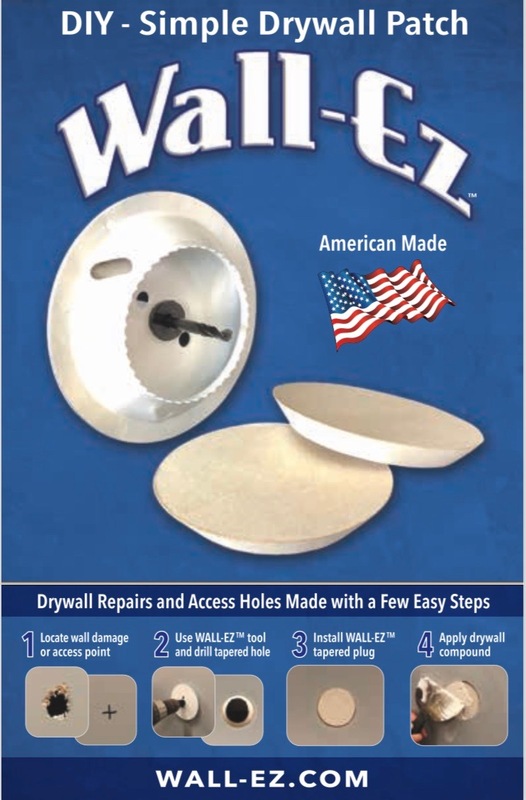 Wall-ez is a new simple drywall patch system. It is a patented tool and method for repairing damaged areas by the DIY Individual or an Industry Professional. Used to make repairs like when a door knob busts through the wall or for cutting access holes by industry professionals (electrical, security, plumbing, and insulation companies). I will ship out the retail kit for you to try and keep. I will provide coupon codes for your followers to use for purchase discounts. I would like you to provide a photo or video of the product in your post and make it available for us to copy and use.